I love coffee. I'm actually drinking some as I type this. Which really should come as no surprise to anyone who reads this blog on a regular basis. What should be a surprise is that I didn't make these DIY wedding coffee stirrers for our wedding. The idea didn't hit me until way after our wedding. But you should definitely make these. They're so easy and really add a personal touch to your wedding. I would suggest making these ahead of time, mostly because they're something that won't spoil or perish. So you can make them now, even if you're wedding is a year from now. Just cross it off the to do list. 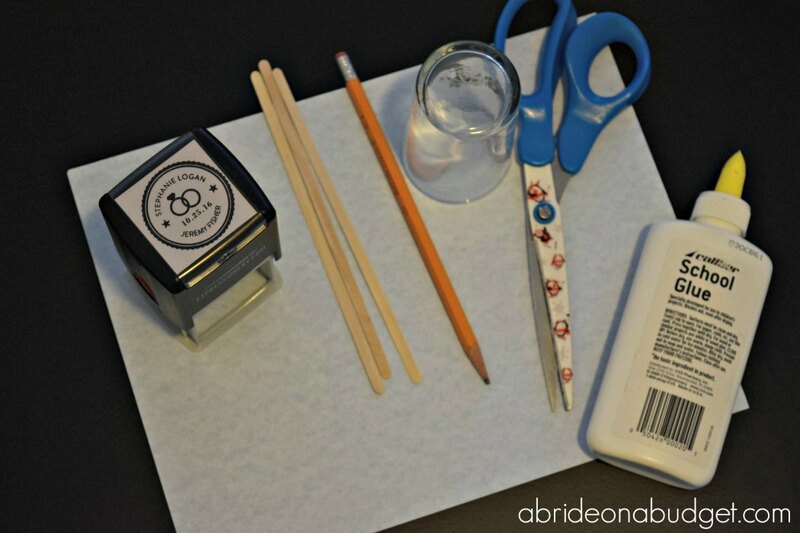 Using the stamp, stamp your card stock. Leave enough room around each circle to make a border. 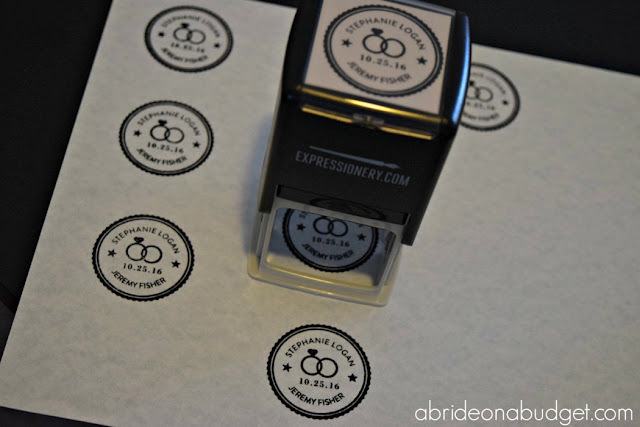 Put the shot glass face down over each stamp. If you use a clear shot glass, you'll be able to assure that the graphic is centered. Trace around it with a pencil. Use the scissors to cut out each circle. You'll need two per coffee stirrer, so keep that in mind when you're stamping. Glue the entire backside of the circle. Place your coffee stirrer in the glue. Affix a second circle to the first circle. Be aware of the placement of the circles. You'll want to make sure that each is facing in the proper direction. That's all. They're so cute and really add a nice touch to your wedding. 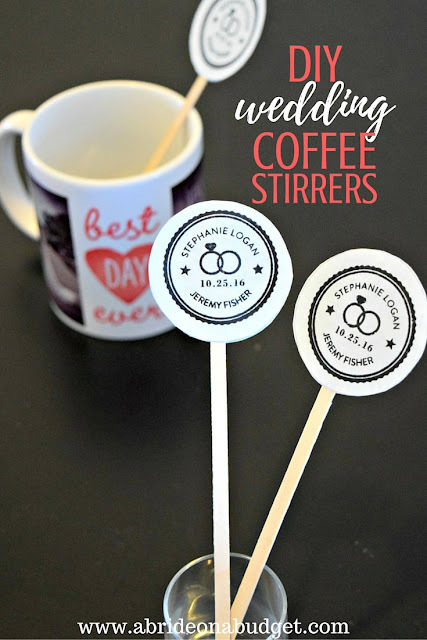 BRIDAL BABBLE: Could you make these DIY Wedding Coffee Stirrers? Omgosh, I love these! Such a great wedding idea for coffee crazies like me! :) Sharing! I love these! A perfect little touch to make an event special. So simple and economical! Coffee and hot cocoa bars are so popular right now theses are great. Thanks for sharing with us at Celebrate Your Story. 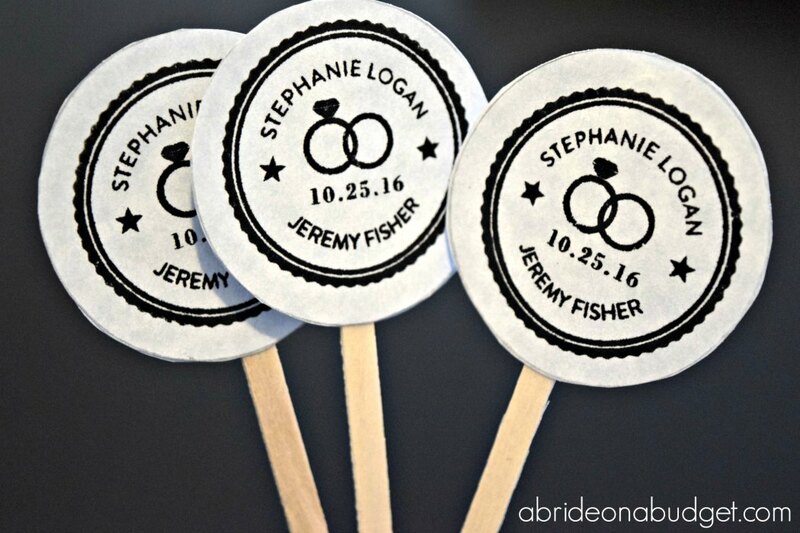 So cute and simple idea.Using a circle punch will save a lot of time instead of cutting with scissors. Thank you for sharing with us at #HomeMattersParty. We would love to see you again next week.